"This Twisted Hexagon is stitched in the "English Paper Piecing" method. You can join as many of these total blocks together to make a quilt or like I have done applique one full block onto a piece of fabric. 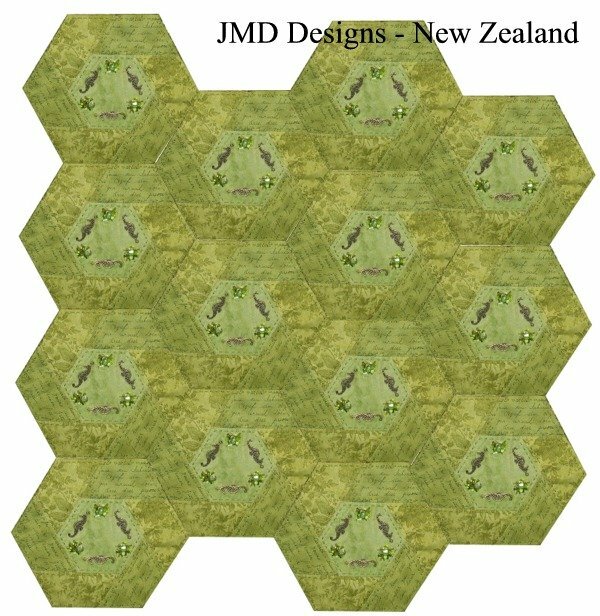 "I have given three different sizes of the Twisted Hexagon templates for you to use. I have put them in a PDF for you to download and be printable for you. Also included are instructions. 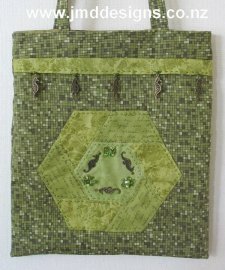 "If you have not done English Paper Piecing before you can see my free tutorial here on the basics of the construction method." Be sure to check out Janets website for more patterns and tutorials!